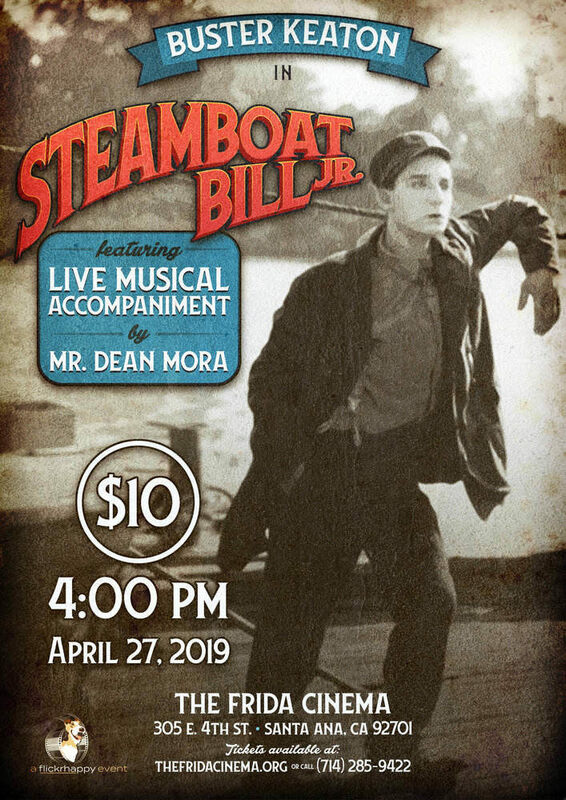 On Saturday, April 27th, legendary Wurlitzer whiz Dean Mora lends live musical accompaniment to Buster Keaton’s silent 1928 comedy classic Steamboat Bill, Jr.! Keaton’s athleticism and gift for inventive visual humor are in top form, but Steamboat Bill Jr. is best remembered for the climactic cyclone sequence and slapstick tour-de-force in which Keaton’s comedic stunts are performed amid the full-scale destruction of an entire town. Experience Keaton’s 91-year-old comedy masterpiece on the big screen, with a live soundtrack performed by a silent-film musical legend!